WSUS for Windows Server 2012 or higher supports the installation of both common security patches and large upgrade packages (upgrades in Microsoft terminology) on Windows 10. However, this feature doesn’t work out-of-the-box: these upgrades (they are called Redstone in Windows 10 concept) simply cannot be downloaded on clients. Let’s consider this problem. 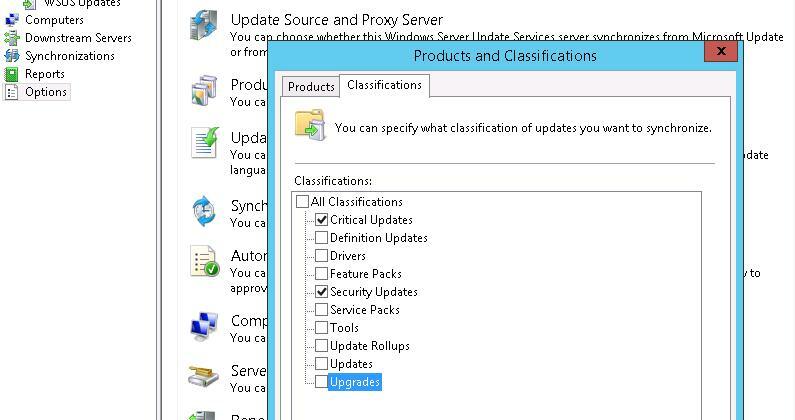 In WSUS for Windows Server 2012, there appeared a new type of update classes – Upgrades. It is enabled in the WSUS console in Options ->Product and Classification ->Classification. We need the Upgrades option (if it is disabled, don’t hurry to enable it!). If you enable this option, your WSUS server won’t download the upgrades returning an error. 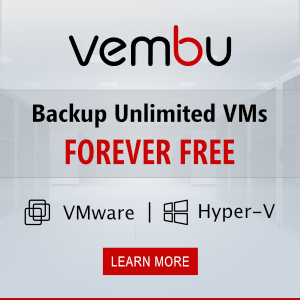 To make WSUS download upgrade packages, install a separate update KB 3095113 (https://support.microsoft.com/en-us/kb/3095113) on your WSUS server. In the log, you can see the attempt to download an ESD file (a new format of distributing the OS image)—7C/6FCFDF07883BAE0E36654F3222603EAF377707B7C.esd from the server. Try to open this URL in a browser and you’ll get the error 404. The matter is that this file type is not allowed in the IIS settings and its transfer is blocked. 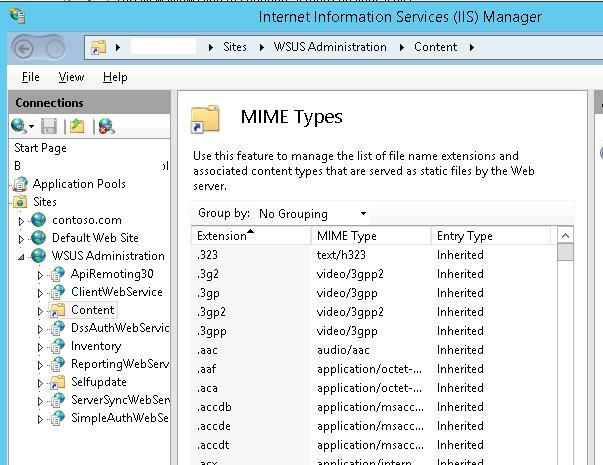 To allow the WSUS server to transfer ESD files, start Internet Information Service (IIS) Manager, go to WSUS Administration site and select Content directory. 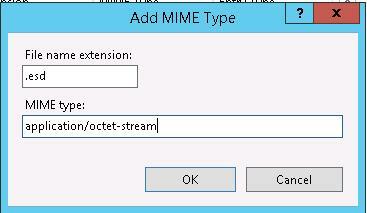 In IIS settings, select Mime Types section. Restart IIS (iisreset) and re-run the synchronization on the clients. Windows 10 clients have to start downloading .esd files and can install upgrade packages. Note. For reference: WSUS v. 3.2 on Windows Server 2008 R2 won’t be able to distribute upgrades for Windows 10. It appears that Microsoft is not going to fix it soon.